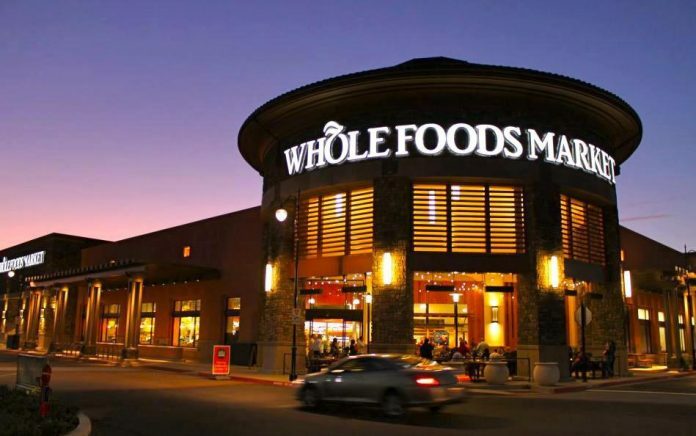 According to a press release from Amazon, Whole Foods is set to slash prices on hundreds of items this Wednesday in hopes of attracting new customers. By delivering incredible value that the competition can’t beat. It’s worked out beautifully for Amazon so far, as evidenced by their Prime membership program – a subscription service that delivers a massive basket of services for a low price. More importantly, though, it’s created a captive audience for Amazon.com. If you’ve got a Prime membership, there’s no reason to shop anywhere else online. And though fulfilling Prime’s benefits is undoubtedly costing Amazon big-time, it’s proved more than worth it for Bezos and co., who have completely dominated the American online retail market as a result. Now, with Whole Foods, one of Amazon’s pet projects they purchased back in 2017, it looks like Bezos is about to run the same exact play. If Amazon’s history of disrupting industries is any indicator, then grocery stores across the nation should be trembling in fear. Because Amazon’s about to leverage Whole Foods’s greatest strength while expanding its number of reachable customers – a deadly combo that’s sure to gobble-up significant market share. For those of you unfamiliar with the grocery chain, Whole Foods is a highly premium brand. They carry high quality, all-natural products that have equally steep price tags. For the most part, Whole Foods is the store of choice for middle-upper-class suburbanites who have the luxury of shopping somewhere that offers the best of the best. Customers can get premium coffee beverages from the in-house baristas, or even a top-flite craft beer to be sipped on while shopping. …For those who can afford it, at least. And ever since Amazon bought Whole Foods back in 2017, Amazon Prime members were allowed to have a bit of the “good life” at a cheaper price. Non-members got discounts too, as Amazon immediately cut down prices after they purchased the brand. It seems now, though, with Whole Foods slashing their prices further, there will be little reason to shop at the other “big box” stores when it comes to produce, the focus of these price cuts. In addition, Prime members will have access to double the number of exclusive deals, and new Prime subscribers will get $10 off their first $20 (or more) purchase made online. All in all, Whole Foods is cutting into their margins heavily in order to make this move, and if business was stagnant, they simply couldn’t afford to do it. But Whole Foods is booming, and as a part of their long-term plans, they’re going to bring millions of new shoppers into the fold, eventually getting them hooked on the top-of-the-line shopping experience. It’s a great move for the company, and a sign that Whole Foods isn’t just here to compete, they’re here to take over. Even if it ends up costing Amazon a few extra bucks.